Tony Mendez is determined to use what he learned from his mistakes to give back to youth today so they can have a better future. Volunteers from the Foundation for a Drug-Free World handed out 300,000 copies of drug education booklets during the Euro 2016 football championships. Antoinette Mbenenge named her life-coaching business “Siyanqoba,” a Xhosa word that means “conquer” or “overcome.” Now, with the Truth About Drugs, she is giving her people the means to do just that. After over a decade of heroin addiction and horror, Jerry Ortega gets clean and finds purpose with the Truth About Drugs. Centers for Disease Control and Prevention calls for stronger prevention efforts. Carmen Margro, former addict now leading the Foundation for a Drug-Free World South Africa, calls saving lives with the Truth About Drugs “the best high” she’s ever had. 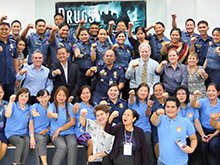 As is tradition, in honor of the United Nations Day Against Drug Abuse and Illicit Trafficking, Drug-Free World volunteers across the globe set up events, concerts and mass distribution. After spending 21 years busting dealers, Frank Bianco and his wife Anne are determined to educate their community and save lives. Sergeant Lexmond of Gisborne, New Zealand, now has an effective partner: The Truth About Drugs. Tens of thousands of Dominicans benefit when long-time National Drug Counselor Carlos Gonzalez begins using the Truth About Drugs campaign. To counter a devastating wave of crystal meth addiction among Germany’s youth, singer Joy Villa and the Truth About Drugs team hit drug abuse hot spots along the Czech border for concerts, lectures and massive booklet distribution. Tyler’s father, Wayne Campbell, who lost his son to a heroin overdose, has made drug education his mission and passion. Alarming school dropout and unemployment rates translate into widespread drug abuse. The 2016 Olympics saw the launch of an unprecedented drug prevention campaign determined to spread the truth about drugs throughout Brazil. The Foundation for a Drug-Free World built a corps of local volunteers passionate about ending the country’s crack epidemic. 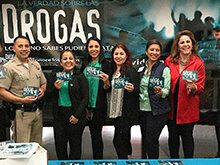 Foundation for a Drug-Free World volunteers reach tens of thousands of fans from across the country in their largest US booklet distribution to date. 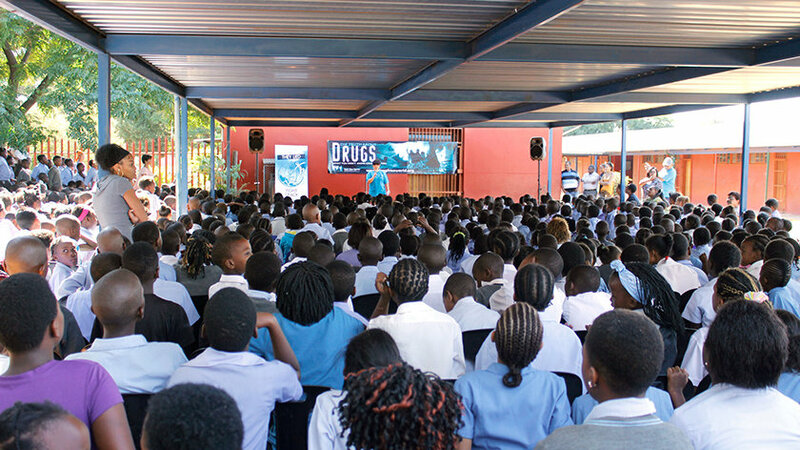 How one man who suffered the deep personal loss of a close family member at the hands of drug abuse is waking up the youth of his nation to the truth so they can halt the problem.